I am truly honored to briefly introduce myself and to serve you in an Assistant Principal role at RJHS. I look forward to continuing my work with Mr. Kordsmeier and Mr. Sitkowski, as well as the rest of our staff, in our efforts to do whatever it takes to advance the achievement of all students on our campus. Working together, I am confident that we will continue to provide our students with a truly rigorous and enriching school experience. I am very fortunate to have the support of an amazing team here at RJHS and an embracing, supportive community. Together the school and the community build a foundation to enable each student to succeed. Our mission is educating every student, every day, whatever it takes. At RJHS, teachers, support staff, administration, parents and students work together to make the junior high years successful, memorable and enjoyable ones. Jr High is an important and critical time for students. What happens during these years will have a lasting impression on their growth and development. My goal as Assistant Principal is to provide the leadership that will facilitate a school environment that is safe and respectable, in order for your child to receive the best possible academic instruction. I am confident that our school will continue to be a place where our students can learn and grow academically and socially. I have been working in the Russellville School District since 2011 and am supported by my husband Michael and our four kids, Parker, Bella, Kelsey and Caylee. We are proud to be part of this amazing district. Feel free to stop in and say hello, as my door is always open. 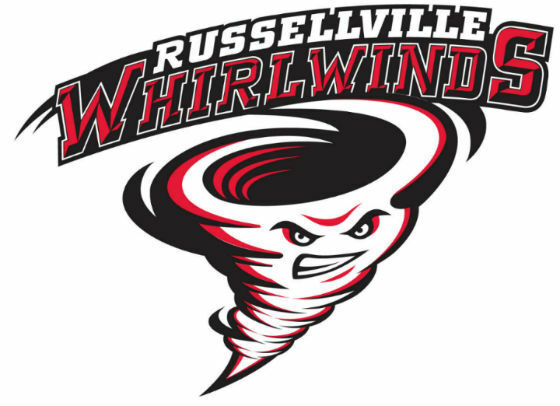 If there is anything I can assist you with, please feel free to contact me at 479-968-1599 or at sarah.monfee@russellvilleschools.net. I look forward to meeting you and your student.